We are so excited that you are intrigued enough in the business to take this next step. This page is intended to share with you enough of the basic information around starting your own Young Living business to help you make an informed decision about whether the business is a good one for you. Then we can chat if you want to explore it further. First of all, distributors (those who do Young Living for a business), do not “sell” the oils. We educate people on the benefits and then help people sign up for an account, retail or wholesale. When they sign up, they do so under our distributor account so each time they make an order now and in the future, we are credited with the purchase and earn a commission. We do not hold product stock (although we can) and we are not a retail store. Third, let me take a moment to describe this business model. 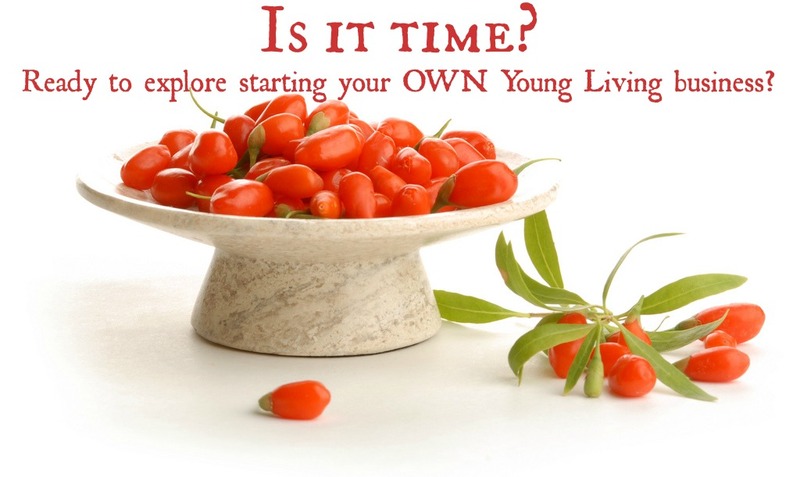 Young Living is a multi-level marketing (MLM) or network marketing (NM) company. Think of network marketing as grassroots marketing The company puts all of their marketing budget into paying word of mouth people, paying people who tell people about what they do. You will never see adds for Young Living in magazines or billboards. People often associate MLM and NM with the “Pyramid Scheme” which came out years ago. The Pyramid Scheme was based on something for nothing. There was no product involved and was a genuine scam. Network marketing is not a Pyramid Scheme and it is perfectly legal. Multi-level refers to earning income from people on your team that you bring on board. It is a truly cooperative and feminine marketing plan. Think of it this way: If you work on our team, we want you to do well. The better you do, the better we do. We will do everything we can to help you succeed. Frankly, that is one of the reasons we are so excited about working with Young Living — feeling a bit “over” the competition thing. Competition is exhausting and it has worn us out. We so prefer to work with people and genuinely want to support people as they go forward. Okay, that said, let’s talk details! Retail: They simply purchase right off the website at retail prices. Wholesale: They purchase a *Starter Kit to become a member and then earn 24% off all retail prices, paying wholesale prices. $40 (Basic Starter Kit): Includes distributer information, a bottle of Citrus Fresh and a roller filament. Retail customers: You make 24%, the difference between retail and wholesale. Wholesale customers: For every Premium Kit you sell, you make $50. You also earn a FAST START BONUS, 25% commission from all of their purchases for the first three months. THEN, you make 8% of all of their purchases forever thereafter. 8% off of those you bring on personally (your Frontline or Team 1). 5% off of those Team 1 brings on (your Team 2). 4% off of those Team 2 brings on (your Team 3). 4% off of those Team 3 brings on (your Team 4). And it continues, the higher in rank you go. Can you see the beauty of this process? You make money off of people under you. You know what that means? You only succeed by helping those under you succeed. How fabulous is that? A truly cooperative business plan AND the basis of your residual income. Put in a few good years and you can have a lovely residual income coming to you. Essential Rewards is essentially Young Living’s Frequent Buyer’s Club. You need to buy product to learn more about YL and what it offers in order to better educate your customers. It is your ONLY business expense for YL. Amazing! PLUS, you know every business builder under you must purchase $100 each month as well and you will earn commissions off of their purchases.